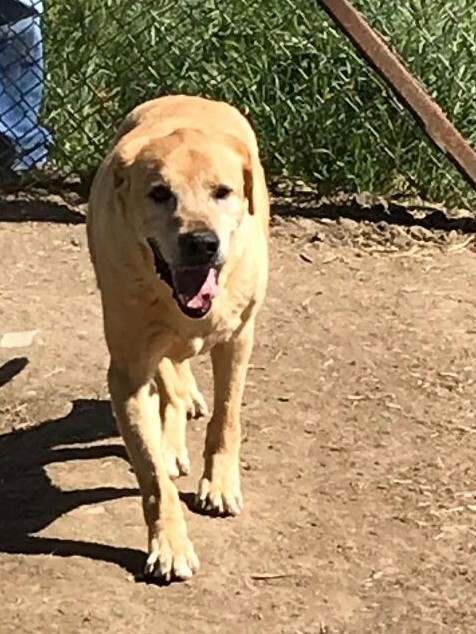 TY is a 10 year old, male, Yellow Lab with lots of energy. He came from a home where his owner was not able to take him on walks. He is loving his new found freedom. 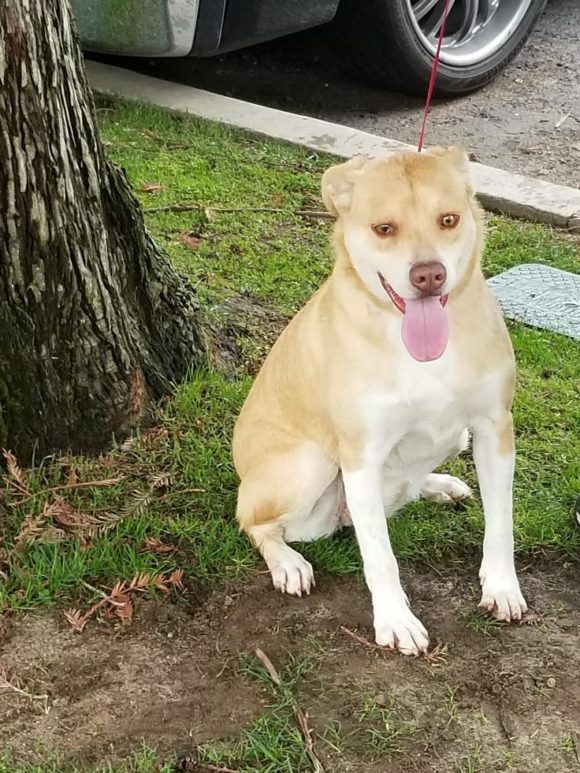 Suzie is a tan/white female, about 2 years old. She was has lots of energy and would be easy to train. Very sweet. This is Sky. 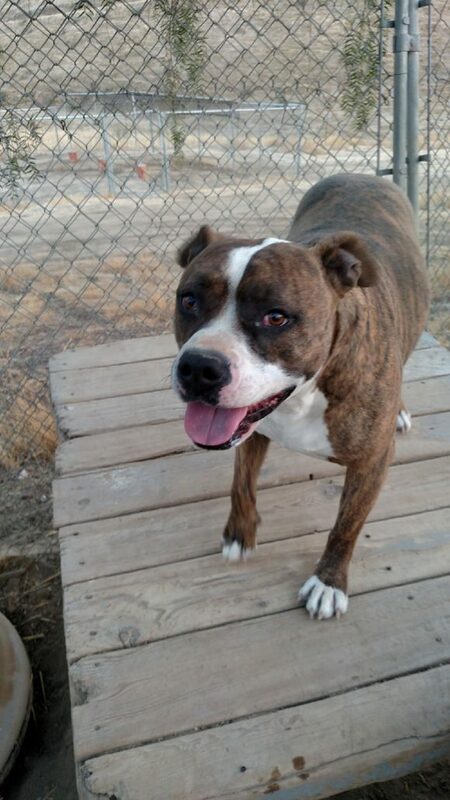 She is a 3 year old Brindle/White Pit Bull. 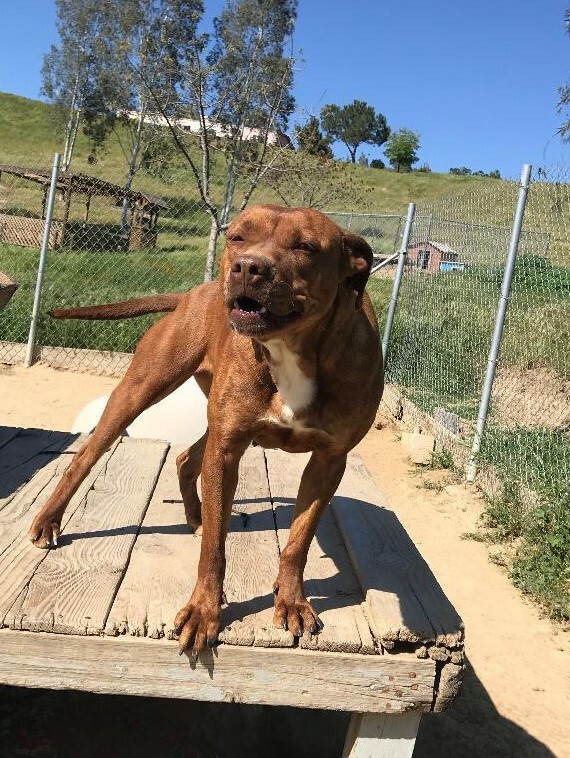 She has lots of energy and needs a SECURE FENCE. 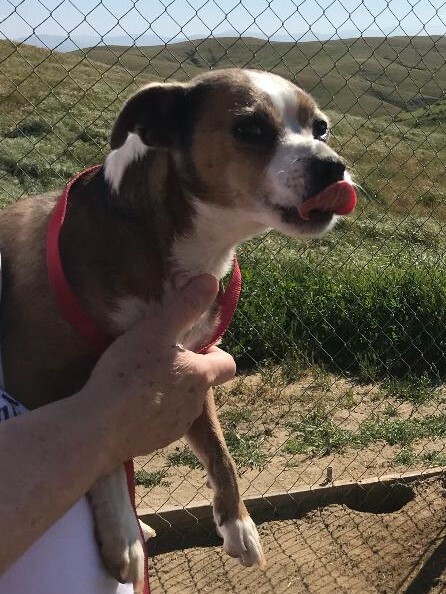 Roamy is a 6 year old Terrier mix. She is very friendly and wants to play. 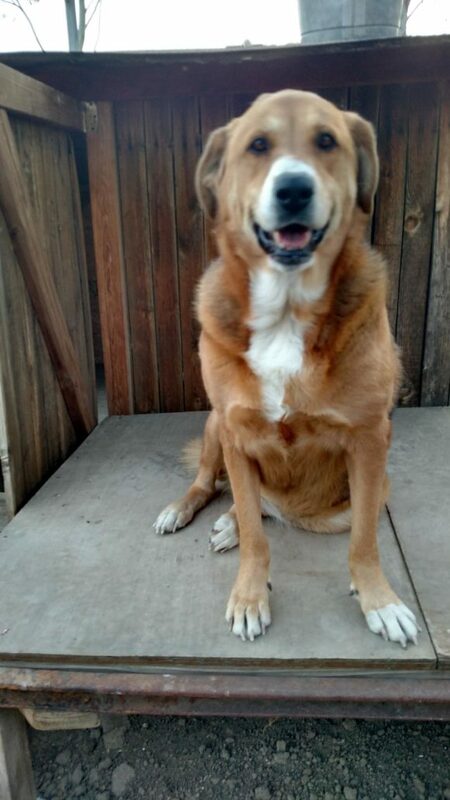 This is Pebbles a beautiful red Pit Bull mix. She is about 3 years old. Her previous owner was a teenager and she loves everyone. She is so sweet and energetic. 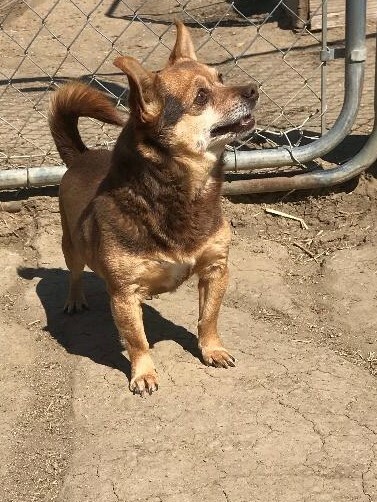 Manny is a male, Chihuahua Terrier mix and is about 4 years old. He is a little shy at first but loves to play. Would make a great companion dog. This is smiley Mac. 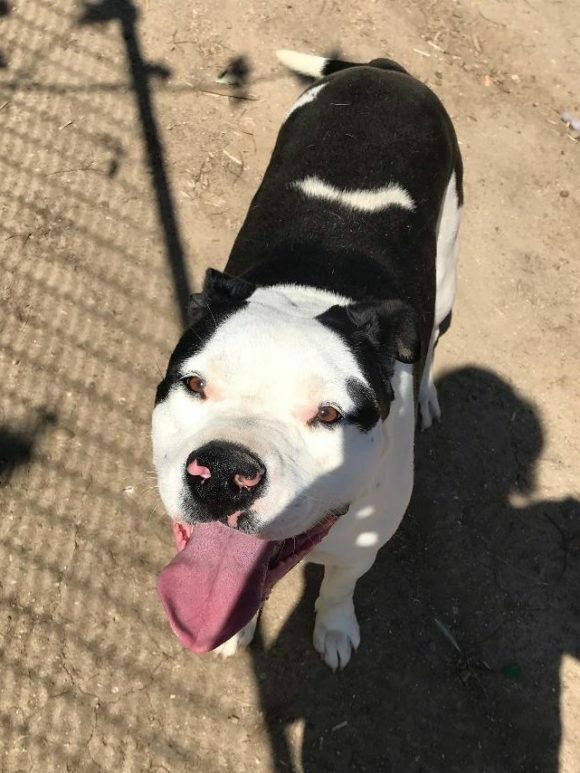 He is a Pit Bull mix, 1 or 2 years old. This is Katie she is a Walker Hound mix and is about 6 years old. Very sweet and easygoing. 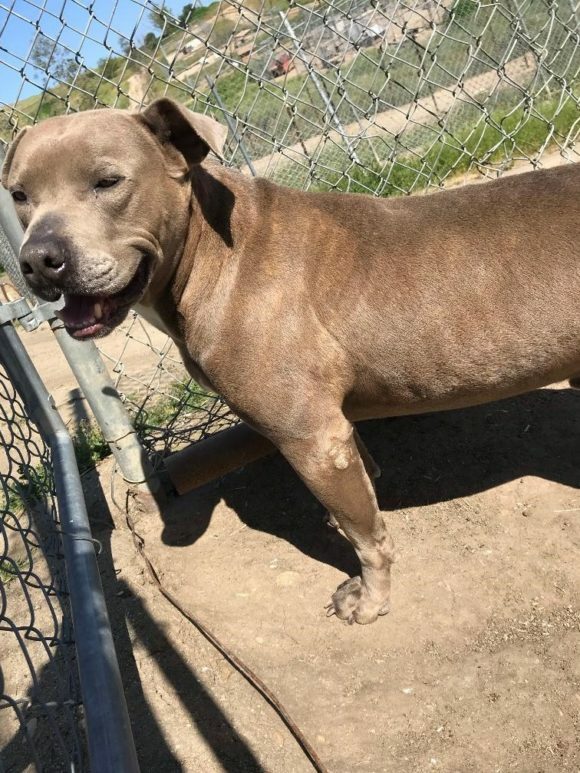 Benson is a five year old Blue and White Pit Bull Mix. 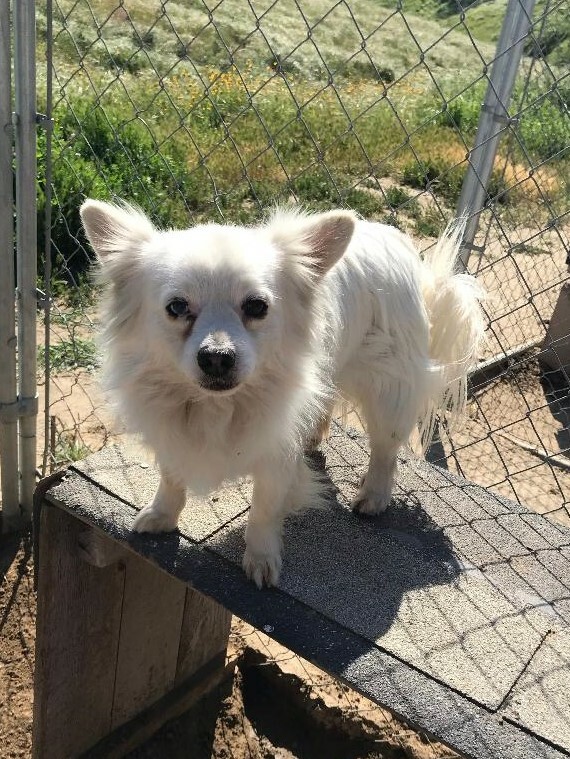 He is a very sweet boy and would love a forever home.